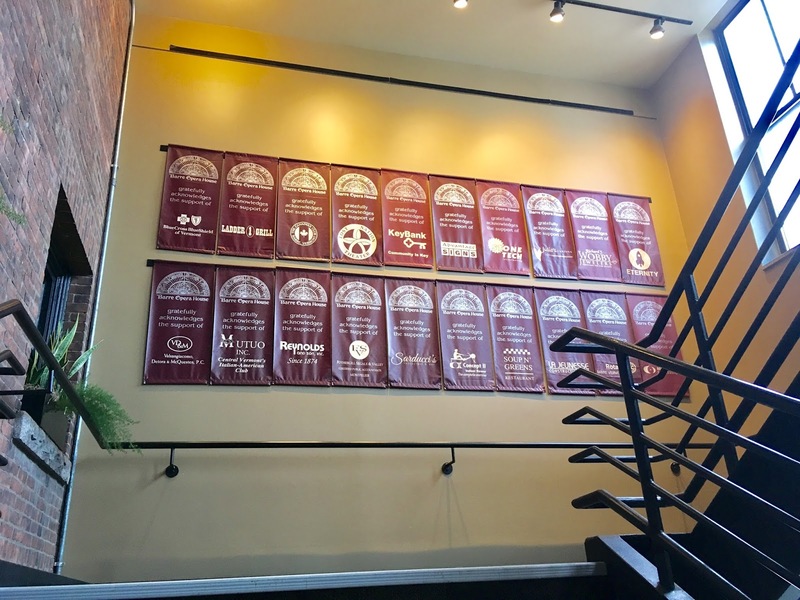 The Barre Opera House has flown sponsor banners for many years in the hallway that leads up the lobby. The original hanging system was getting long in the tooth so we developed a new, more staff-friendly system for presenting the banners. In place of the old conduit-based rails - which required all banners on a rail to be moved just to adjust one banner - we installed ACM brackets, which were in turn fitted with velcro for easy swaps and adds of individual banners.